US firm Definitive Healthcare has acquired the data services business and assets of HIMSS Analytics, which provides research and consultancy in the sector. Terms of the deal have not been disclosed. HIMSS' services include resources, benchmarks, predictive models and assessment tools to help health sector clients improve decision making relating to their IT roadmap and market strategy. Definitive Healthcare is acquiring the company's Logic, Predict, Analyze and customer research products, and will immediately begin integrating these datasets and platform, to provide a new offer which will include improved coverage of IT purchasing intelligence. Blain Newton, EVP of HIMSS Analytics, says the combination of his firm's data assets with Definitive Healthcare's - including data and intelligence on hospitals, physicians and other healthcare providers - creates 'never-before-seen' value for the sector. 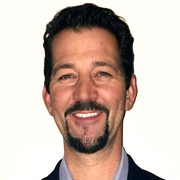 Definitive founder and CEO Jason Krantz (pictured) adds: 'HIMSS Analytics has developed an extraordinarily powerful dataset including technology install data and purchasing contracts among other leading intelligence that, when combined with Definitive Healthcare's proprietary healthcare provider data, will create a truly best-in-class solution for our client base'. Web sites: www.definitivehc.com and www.himssanalytics.org .